Consumer survey and market research become an integral part of every business and without proper data, your business may stop beating. And today’s researchers are increasingly looking to acquire surveys on mobile devices to get quick response. 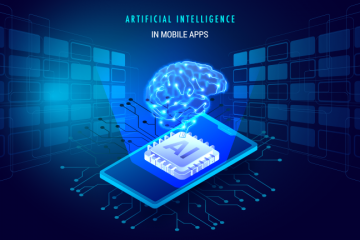 As mobile devices become more advanced, it opens up access to new types of data and information. This, in turn, helps in obtaining richer, deeper and more meaningful insights which ensure quality research. Gathering meaningful information with the help of mobile app requires some careful designing and crafting. Usually, the browser-based surveys are not well-optimized so, the completion rate of those surveys on mobile is lower than on the desktop. 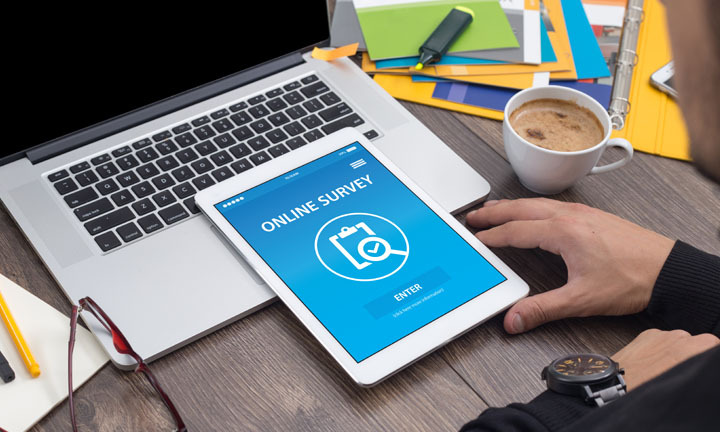 To offer flexibility and customization here are some tips you must consider while designing your survey mobile application. Data collection methods are typically categorized as direct and indirect data collection. The direct data on the survey mobile app comes when users fill their personal details or answers to the questions that you have asked them. And the indirect data could be the amount of time taken to answers or the number of attempts they make to answer the question correctly. 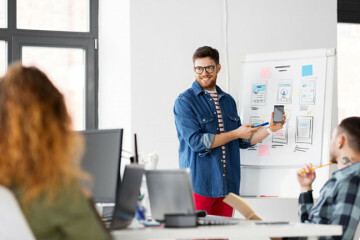 When it comes to mobile app development for consumer survey, offering seamless user experience must be your main focus. For example, an open-end question or a complex question requires typing which is time-consuming and hectic over the mobile screen. Use questions that are easy (finger-friendly) to answer on mobile devices. Remember the design needs to be intuitive. Your main focus must be on getting valid information from the users. The survey app design should offer easy access to all the questions and their answer listings. For example, the survey questions usually come with four choices of answer from where the surveyees have to select one. If the last option needs the user to scroll down in order to see it, chances are high that they will skip the option. So, be careful and place the text conveniently so that it is easily accessible. ‘One screen, one question’ strategy can work smart to offer better user experience. Your mobile audience seeks different look from the desktop version. Note that smartphone app development is different from the desktop as user access apps on the go. This survey app version needs to be responsive for all the mobile devices. So the text size needs to be attractive, easily readable and clickable (finger-friendly). If you want to add images you need to make them responsive as they may slow down the loading time. The less spaces on the mobile devices make it essential to cut out the clutter to offer an appropriate survey listing. Vertical listing options for multiple-choice questions are the most convenient choice to make the design responsive. 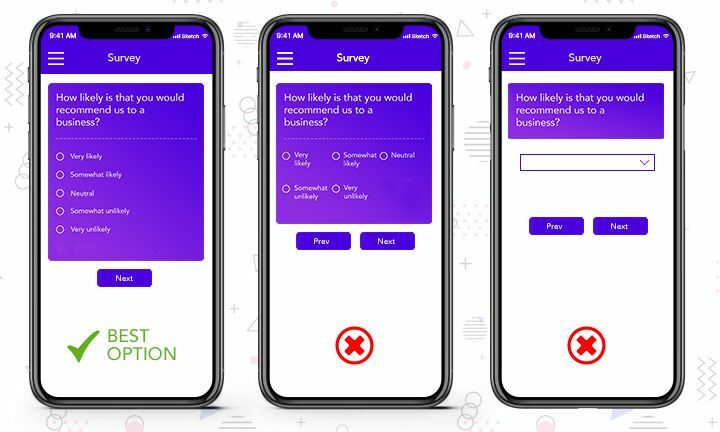 Maintaining an overall consistent appearance throughout the app and survey pages creates a great impression on the users. This goes for visual, functional as well as external consistency. For this, you need to adhere to platform guidelines and use native UI (User Interface) elements which creates your own identity. To stand out from the competitors, you can select different elements to make your survey listing attractive. Options of survey templates, question types, data analysis & export, and rewards are usually integrated to increase user engagement. You can also add notification feature on your survey which will notify and allow the users to complete the survey offline. 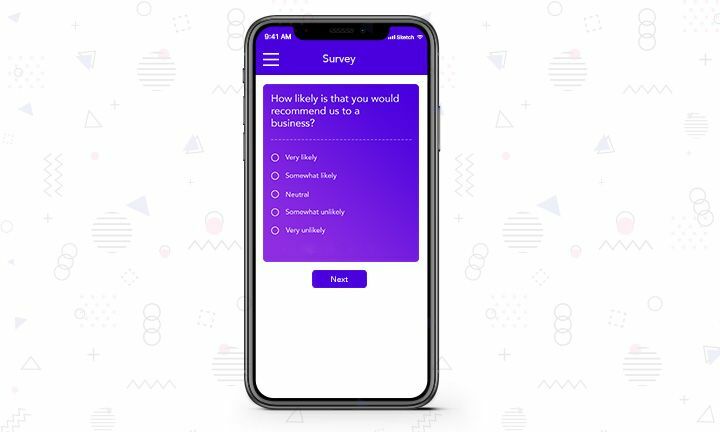 Before starting with a survey app idea, I recommend you to get in touch with a mobile app development service provider for a 360-degree survey mobile app.